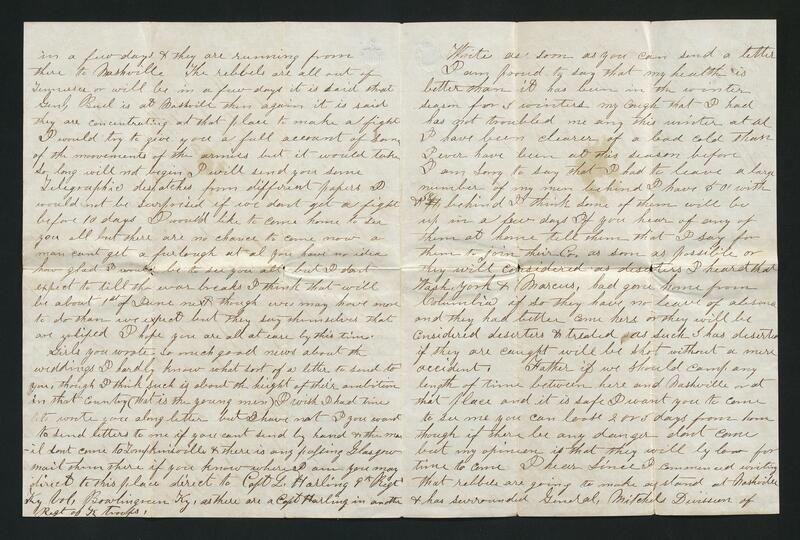 2016ms059: [identification of item], Harlin family letters, 1862-1881, University of Kentucky Special Collections Research Center. The Harlin family of Monroe County, Kentucky and later Clay County, Tennessee, included Alexander Harlin (1812-1866) and his sons Lafayette Harlin (1835-1889), Thomas Jefferson Harlin (1838-1923), and Clay Harlin (1855-1950). Both Lafayette and Thomas were Union soldiers during the Civil War, serving in Company D of the 9th Kentucky Infantry. Lafayette was Captain of the unit, which served in several battles including the Battle of Stones River. Following the war, both Lafayette and Thomas moved to the Santa Ana area of Los Angeles County, California. Clay remained on their Clay County, TN farm and his family contributed to the development of the Tennessee Walking Horse breed. The Harlin family were farmers from South Carolina who settled in Monroe County, Kentucky, near Gamaliel in 1800. Harlin is preferred spelling of this branch of the Harlan family. Other spellings including Harling and Harland. 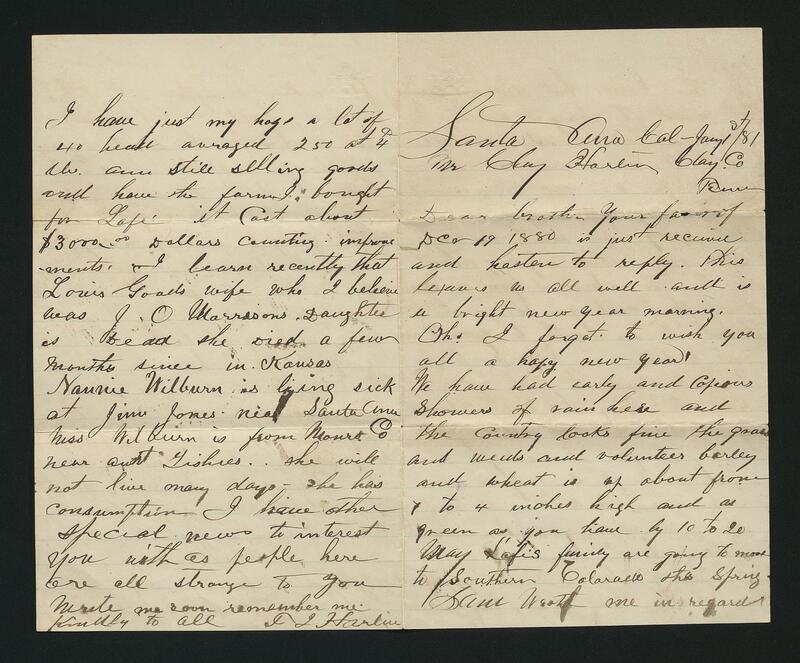 The Harlin family letters (dated 1863-1881; 0.01 cubic feet; 4 items) consists of four letters written by members of the Harlin family concerning the Civil War in Kentucky and Tennessee as well as experiences in California. 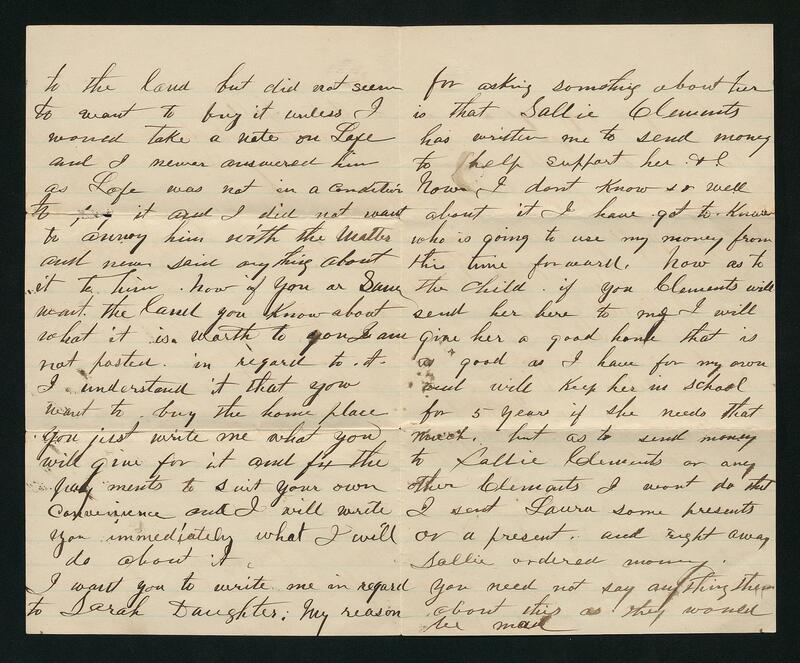 Lafayette Harlin wrote two of the letters, one during the Civil War to his father Alexander and one after he settled in California to his brother Clay. 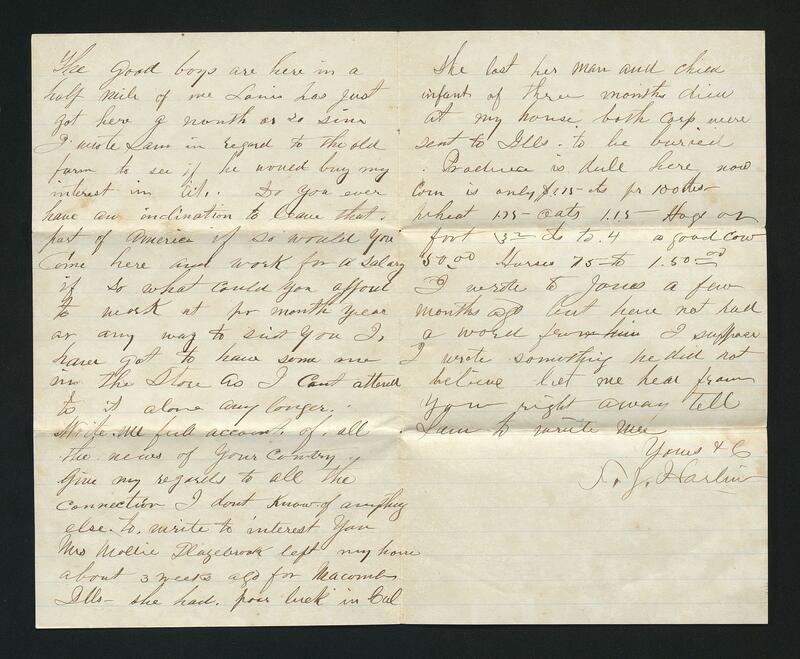 The letter written during the Civil War discusses troop movements in Kentucky and Tennessee in Feburary 1862. 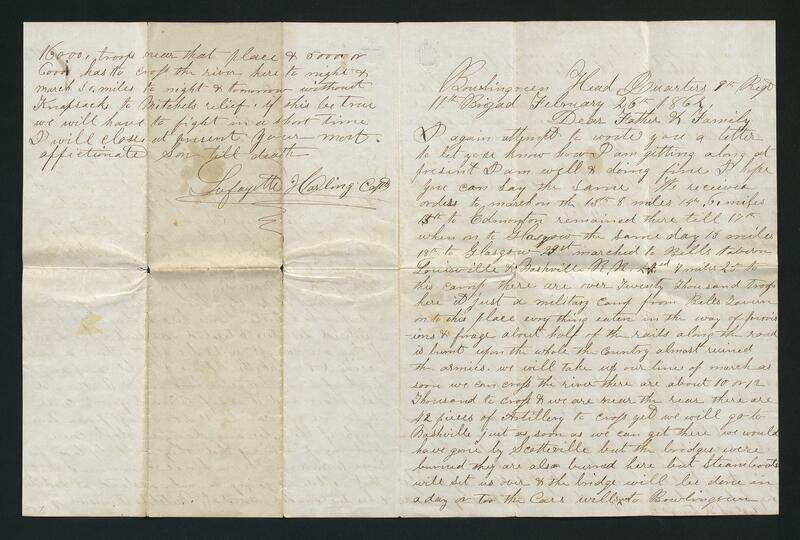 He mentions Carlos Buell, Ormsby Mitchel, Bell's Tavern near Mammoth Cave, Bowling Green, and Nashville. He describes leaving some of his men behind and the possibility that they may be considered deserters. 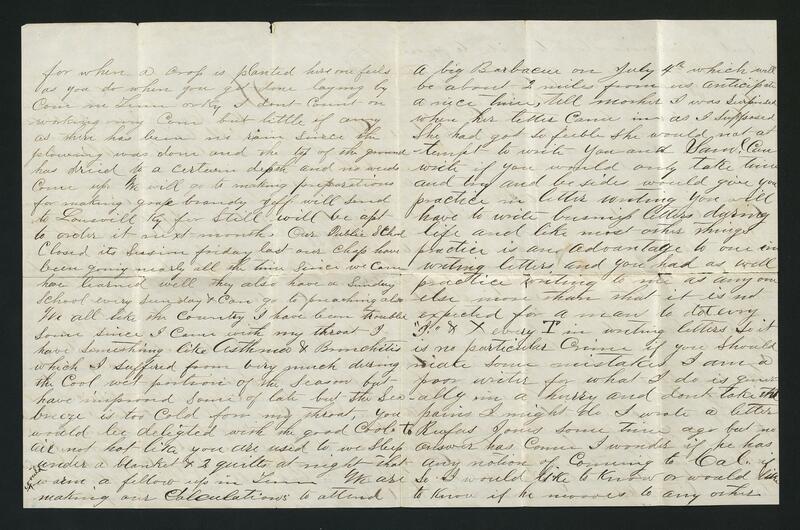 The other three letters are all written from Santa Ana, California to their brother Clay, one by Lafayette and the others by Thomas Jefferson Harlin. 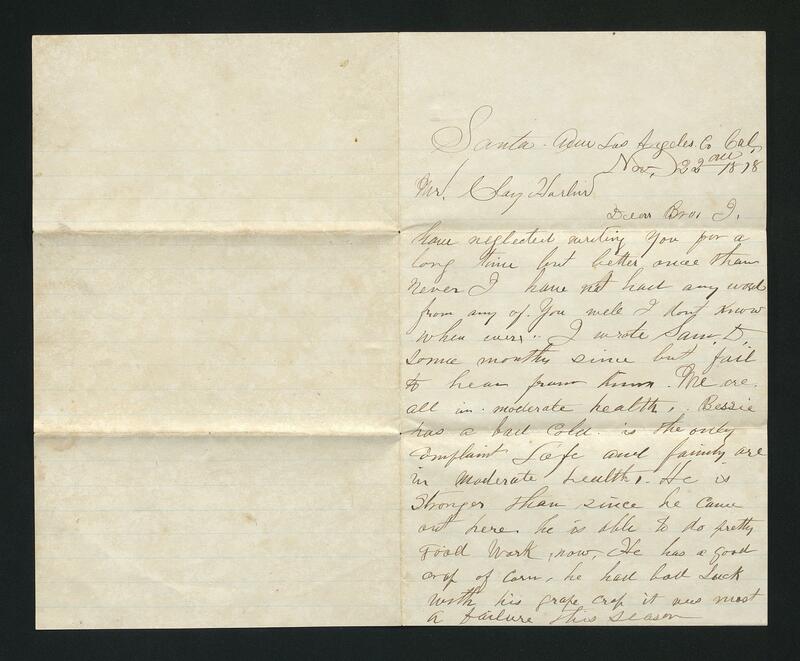 The letters mention the price of corn, wages in California, land issues in Tennessee, health of family, general living conditions, and attempts to convince Clay to come to California. 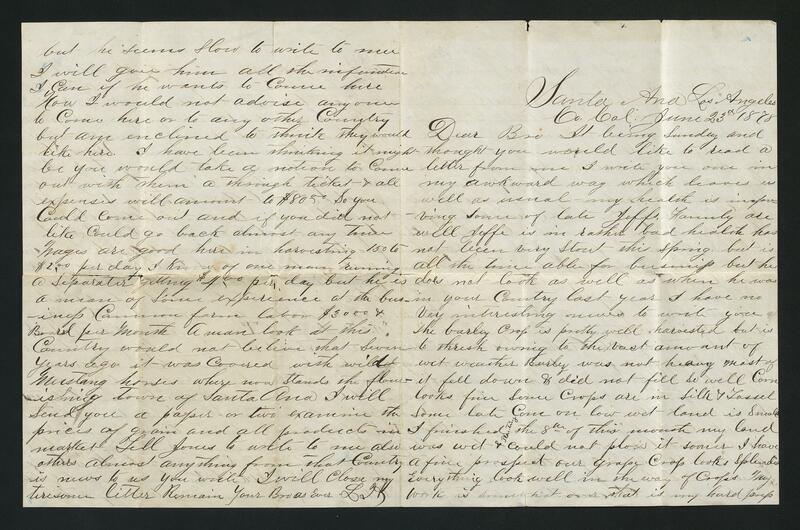 In the final letter, Thomas mentions that Lafayette's family moved to Colorado. Throughout the letters, Lafayette's health is commented upon frequently as he struggeled with coughs, bronchitis, and asthma.